Home > Joan Calabrese - Us Angels -Bella -Communion Dresses and Gifts > Us Angels First Holy Communion Dresses- Flower Girl Dresses > Us Angels Communion Dress *The Petal-Style 283* Size 8 only! 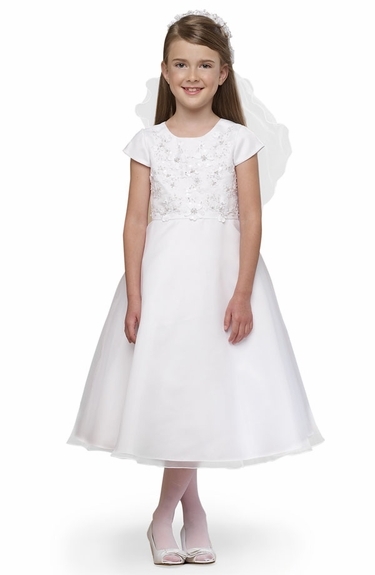 The Petal has a beaded scoop neck bodice with satin capped sleeves. The satin and organza skirt balances the intricate top perfectly.